Paul Nixon is a former English cricketer, who was born on 21 October 1970 in Cumbria, England. The wicketkeeper and left-handed batsman had a career spanning 23 years. 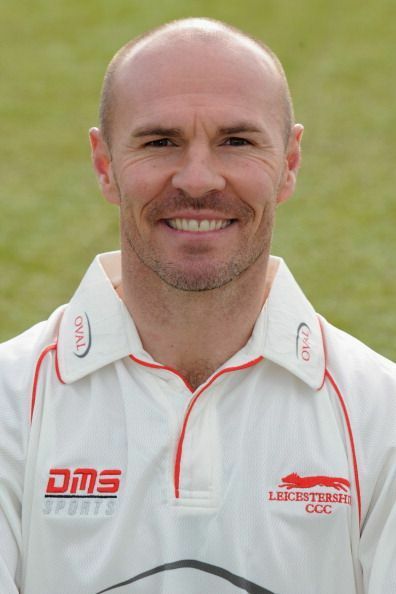 Paul has played a majority of his domestic cricket for Leicestershire and has 19 One Day International caps with a strike rate of 85.59. Paul Nixon made his first-class debut in 1989 with Leicestershire. Playing as a wicket-keeper and a lower order batsman, he won two Championship titles with them in 1996 and 1998. He spent eleven years playing county cricket at Leicestershire, appearing in 197 List-A matches for the foxes. He moved to play for Kent in 2000 but returned to his former club due to the emergence of Geraint Jones, as Kent couldn't afford to keep both. Paul won the title twice in his second stint with Leicestershire and stayed with them until 2011. He made a career best 144 not out against Northamptonshire in 2006. Nixon had a brief outing at international level when he was selected for the T20 international against Australia in Sydney on January 9, 2007. He made his ODI debut shortly after, against Australia at Melbourne on January 12, 2007. While he did not score a single run in his ODI debut, he remained unbeaten on 31 in his only T20 outing with England. Known for his unique reverse sweep and behind the stumps banter, Paul Nixon has set certain milestones in his domestic career. Nixon has scored 7148 runs in List-A cricket from 411 matches and a massive 14498 runs in first-class cricket from just 311 appearances. Owing to his competitive nature and steady domestic performance, Paul was selected for England one-day side in Australia in 2006-07 and did well enough to hold on to his place for the World Cup immediately afterward. Nixon played an integral part in England’s 2007 ICC Cricket World Cup performances and even though the Three Lions finished fifth, Nixon ranked well in quite a few categories. He finished the tournament with an average of 38.6 with 193 runs. This was the third highest in the England team. He had a strike rate of 99.48 from 194 balls, which included 17 fours and five sixes, which ranked him at 10th position in the World Cup. Paul was involved in the four of the best wicket partnerships of England playing at the 6th, 7th, 8th and 9th wickets. His wicketkeeping was up to the mark as well as he finished fifth in the wicket keeper dismissals ranking with nine dismissals – seven catches and two stumpings. The Leicestershire Foxes were a team to reckon with in the early 2000s. Nixon played an important part in each of their successful campaigns and set up milestones of 1000 runs almost every two seasons. He has 889 catches and 67 stumpings to his name in the first-class cricket, while his List A stats read 421 catches and 99 stumpings. Paul Nixon retired from all forms of cricket after the 2011 season and was appointed as the head coach for Leicestershire Foxes in October 2017.